This memo presents findings from July 2015 polling on issues related to Internet access that was conducted by Anzalone Liszt Grove Research in collaboration with Freedman Consulting, LLC. 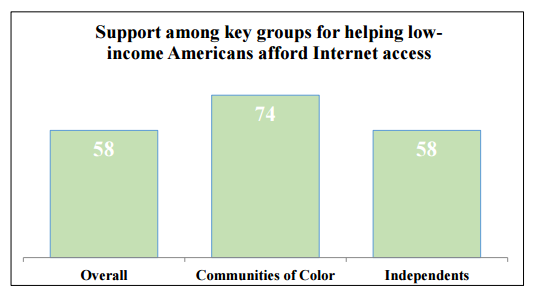 It highlights a shared view that Internet access is essential and that Americans support actions by the government to increase access. The research demonstrates that nearly two-thirds think expanding Internet access should be a priority for the next president.